The thing that always rubbed me the wrong way about Google Glass though, was how after an underwhelming debut, the company seemingly forgot about its moonshot tech. The only thing that remains of the project are enterprise-only models focused more on assisting business complete specialized tasks than expanding the tech as a whole. It’s a shame because if Google had continued to develop the Glass, we might not have had to wait as long for something like the Vuzix Blade. 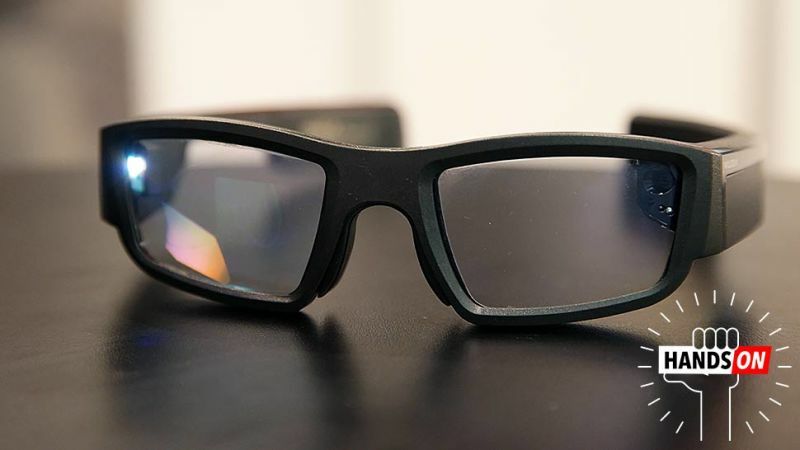 Sporting a tiny DLP projector that spits images onto its full color see-through display, the Blade’s uses waveguide optics to project a tiny display onto the right lens of some surprisingly normal-looking glasses. In addition to the Blade’s innovative display, it also has everything it needs to function as a standalone wearable, complete with a built-in CPU running a customized version of Android, 8-MP camera, 4GB of storage and a microSD card slot, wi-fi, and a mic and touchpad for controlling the device. Controlling it is a cinch too. A two-finger swipe on the touchpad built into the right side of the glasses takes you to the home screen, while a one finger swipe advances you through UI, with a single-tap used for making selections. From there, you can pair the Blade with your phone, which makes it easy to check your messages, view directions or even take first-person photos or videos, using either the touchpad or voice commands. But that’s not all, because in addition to Vuzix’s homemade smartphone companion app, the Blade also sports built-in Alexa integration. So if you want to ask about the weather without pulling out your phone? No problem. How about controlling smart home devices like lights or your thermostat? That’s easy too.